if you have created your Amazon AWS EC2 instance, you can now access it on the web using your given public ip or public DNS (something like ec2-54-36-73-206.us-west-2.compute.amazonaws.com), you can find these in the description of the instance. Step 1: the Public Ip that you are given keeps on changing everytime you restart your instance. So, you need a static Ip known as Elastic IP. I have written an article on how to setup elastic ip for ec2 instance, Its very simple. first complete those steps and come back here! 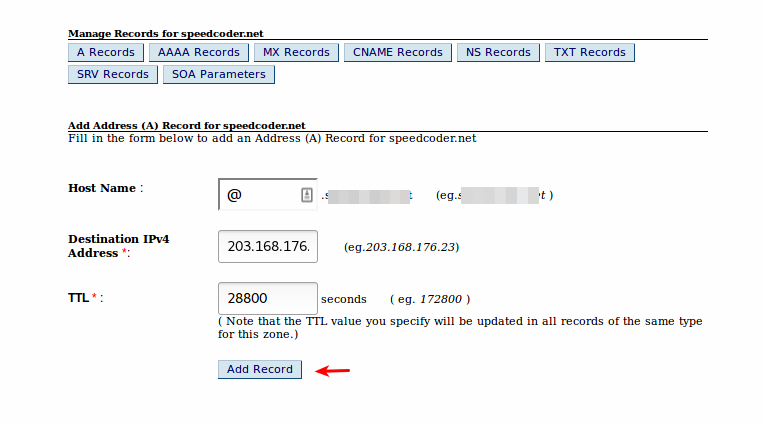 In the Ip address field type in your Elastic Ip which you created in the first step. 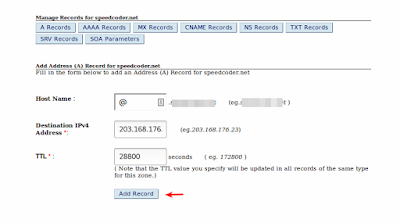 Click on add record Now, you may have to wait for sometime to get your domain working.